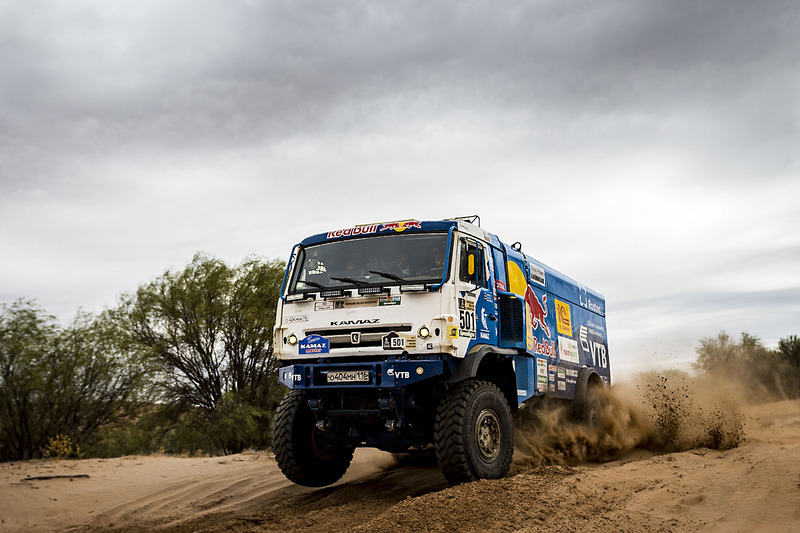 Eduard Nikolaev secured his second Dakar Rally trucks title, leading home teammate Dmitry Sotnikov in a one-two for the Russian Kamaz marque. Nikolaev, whose first title came in 2013, spent the entire 2017 edition of the rally bar the first two stages in the top three overall. After leading Stage 3, Nikolaev dropped behind first Sotnikov then defending champion Gerard de Rooy (Iveco). The Dutchman led as the first week ended, but quickly dropped behind the aforementioned Kamaz duo with a puncture on the eighth stage, before losing further time to navigational difficulties on Stage 10. Sotnikov led again for two days but Nikolaev set the pace on Stages 10 and 11, giving him a 17-minute lead before the final sprint stage in Rio Cuarto. 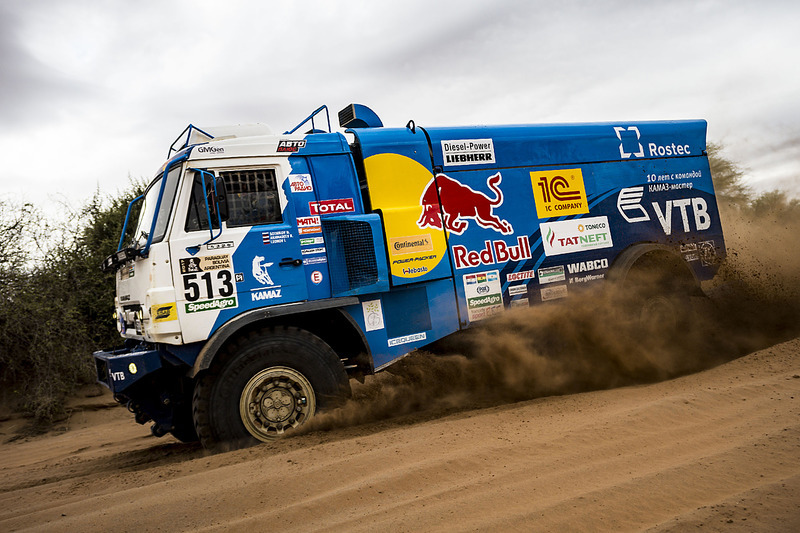 He collected his fourth stage win of the weekend in the final run, and scored Kamaz’s 14th title in the process, beating Sotnikov by just under 19 minutes. 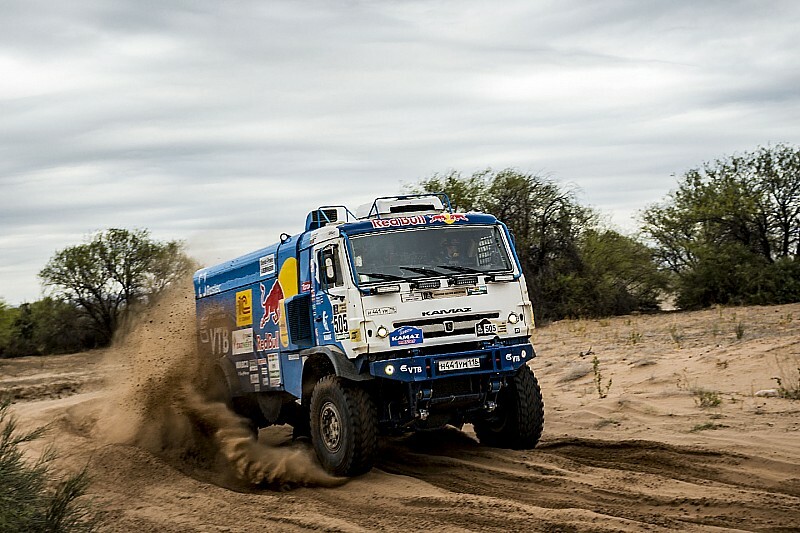 Sotnikov recorded his best Dakar result in second place, followed by Iveco duo de Rooy and Federico Villagra, who were 41 minutes and an hour down on Nikolaev respectively. 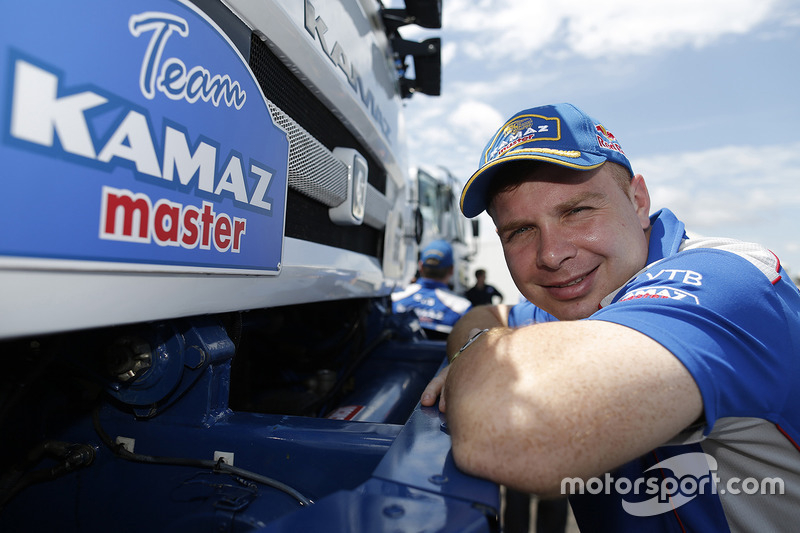 Ayrat Mardeev brought a third Kamaz into the top five, recording the lowest-placed finish of his Dakar career.